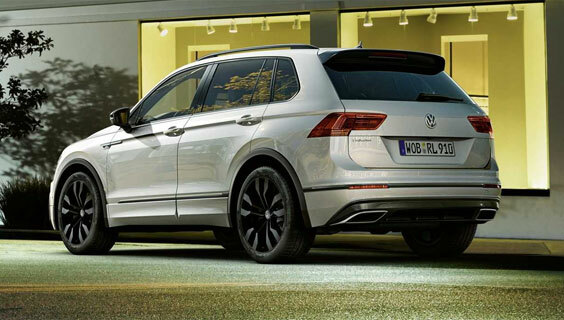 The Tiguan R-Line has been made even better with the exclusive Black Edition – limited to just 55 units in New Zealand. Comprised of unique styling elements such as black 20” Suzuka alloys wheels, black exterior detailing and the DYNAUDIO ‘Excite’ premium surround sound system, this exclusive model won’t last long. The Tiguan R-Line Black Edition is limited to 55 units nationwide and is available in Pure White, Indium Grey Metallic and Deep Black Pearlescent. Tiguan TSI R-Line 4Motion Black Edition. To take a closer look, simply complete the form below and our team will be in touch with you.